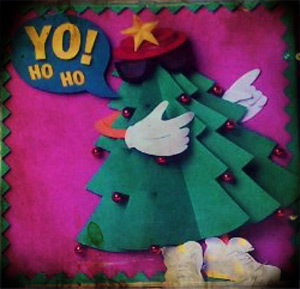 Rock For the Ages – The Christmas Rap / Hip Hop Edition. Now we be chillin’ with some….. This week we are going back to the year 1989 and revisit a compilation album entitled “Yo! Ho Ho.” The album caused a bit of a sensation as some old school people still were against rap music in general. The idea of an all rap music Christmas album made by Christian artists was “innovative” to say the least. It should be noted that young people loved the album, so it definitely made an impact. Undoubtedly the headlines and main attractions on the album were D.C.Talk, who were still riding high in popularity from their initial releases into the Christian music genre. See ya next week for some more Christmas songs! We are going to step away from our series on Rock for the Ages and early Contemporary Christian Music artists and for the next month or so, concentrate on Christmas music and albums. 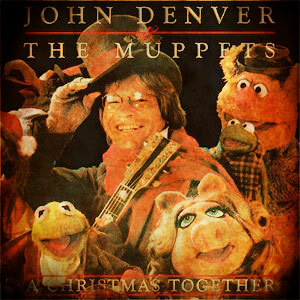 First up is the classic “John Denver and the Muppets – a Christmas Together.” This little gem of an album was released in 1979 and stars all of the best Muppets we had come to know and love. Singing with them is country music / pop star John Denver who appeared on the original Muppet Show several times, as well as appeared in the original Muppet Movie. Whatever is was, the album was a commercial success and continues to sell well today. That same year, Denver and the Muppets collaborated on a made for TV special of the same name. Two of our favorite clips from the show are below. All too often Christians are thought to be mean spirited, humorless individuals. For us, it has always been hard to imagine Christ and his disciples sitting around a fire at night and not laughing. We can easily envision the peals of laughter from the group. Laughter is a gift from God. With that in mind, we present three short examples of Christian humor. What if Cartoons Got Saved. Oct 9, 2011 Posted by AAfterwit on Oct 9, 2011 | Comments Off on Rock for the Ages – the Rich Mullins Edition. 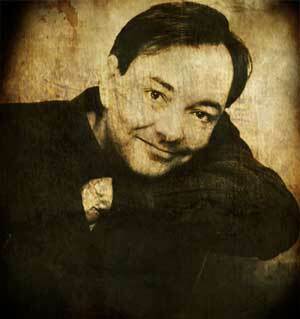 Rock for the Ages – the Rich Mullins Edition. When one remembers Rich Mullins, pne thinks of service, music, theology and a life that was an example to others. Mullins was not a rocker in the any sense of the word, yet he deserves a look from us because of his role in Contemporary Christian Music. Born in 1955 to his father farmer and his Quaker mother. Growing up, he spent time in Quaker meetings and sought deeper spiritual meaning beyond catchy phrases and slogans. 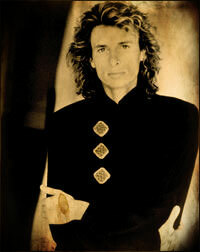 The lyrics to his songs often reflected this complexity and depth. A lot of the stuff which I thought was so different between Protestants and Catholics [was] not, but at the end of going through an RCIA [Rite of Christian Initiation for Adults] course, I also realized that there are some real and significant differences. I’m not sure which side of the issues I come down on. My openness to Catholicism was very scary to me because, when you grow up in a church where they don’t even put up a cross, many things were foreign to me. I went to an older Protestant gentleman that I’ve respected for years and years, and I asked him, “When does faithfulness to Jesus call us to lay aside our biases and when does it call us to stand beside them?” His answer to me was that it is not about being Catholic or Protestant. It is about being faithful to Jesus. The issue is not about which church you go to, it is about following Jesus where He leads you. Mullins died that same year when he was struck and killed by a truck after his Jeep rolled over while on the way to a benefit concert. The world of CCM was stunned by his death and to some extent, even today it seems he was taken from us all too soon. That is until you heard them play. It is fair to say their first album, “Way to My Heart” was notable for two songs. The first, a cover of the Kansas classic “Carry on Wayward Son,” gave the group instant video air play not only because the cover was so good, but Kerry Livgren (of Kansas) makes a guest appearance in the video. After the ladies opened the door with “Carry On My Wayward Son,” they burst through it with the highly successful “I Will Stand By You,” which became a #4 ranked radio hit. The group’s second album, You Outta Know By Now, was produced by White Heart’s Billy Smiley. The group toured with White Heart as an opening act, playing to large, wildly encouraging and appreciative fans. Every classroom has its clown – the type of person who, when asked by a teacher “what is wrong with you?” would answer “ahhh….I’m a bit mental in da head.” For early Contemporary Christian Music, that person was Steve Taylor. Taylor was known for his biting, satirical songs that often took aim at both the religious and non-religious. His song “We Don’t Need No Color Code” was a direct shot across the bow of Bob Jones University, which until 2000, had a policy against interracial dating. In the same vein, “Guilty by Association” nailed those who were using the name of Christ to promote products, rather than Christ. Taylor tapped into the natural rebellion against the establishment that is found in most teens and did so in such a satirical way that made the songs all the better. Taylor won a Grammy for “Best Male Gospel Performance” for the album “Meltdown.” He has also directed music videos for Six Pence None the Richer, and is the only artist to ever win two American Music Billboard Video awards for self direct videos. Taylor collaborated with Peter Furler (formerly of the Newsboys and married to the daughter of Mylon LeFevre) on Furler’s album “On Fire” which was released in July of 2011. Despite all he has done (and it is a lot), we will always remember the younger, satirical, in your face Steve Taylor who used humor and a different perspective to challenge people to walk the walk, not just talk to the talk.